The WithIt Board of Directors has established a scholarship fund to honor our friend and founding member Kathi Cunningham who we recently lost to complications from the flu. Kathi was a proud member who served on the founding Advisory Committee, the 2002-2003 Board of Directors and was one of the original WithIt Ambassadors. 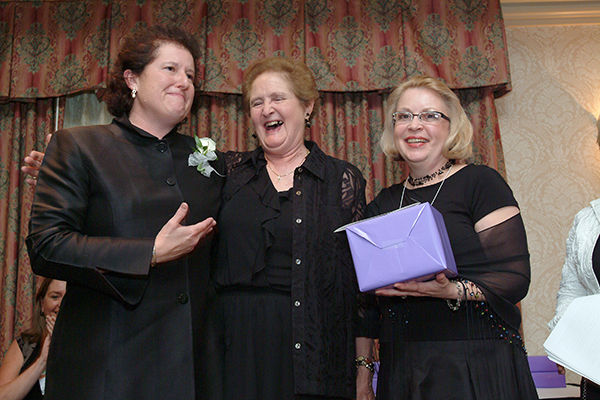 In 2006, she received the WOW Award for mentoring a multitude of women and men in the industry. Her early experiences as a retailer in a family business gave her unique insight into the needs and challenges of retailers and sales associates and she freely gave her knowledge and sage advice to ensure everyone’s success. 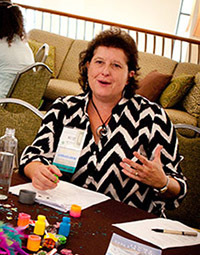 As part of the Hospitality Committee for many WithIt conferences, Kathi worked to make every attendee feel welcomed and part of the organization. Her enthusiasm, genuinely warm personality and infectious laugh will be remembered by all who met her. Kathi was most recently Senior Regional Sales Manager at Classic Home Furnishings. Prior to that she was a Senior Account Rep for Four Hands for 10 years. She cut her teeth in the furniture industry by helping her family start Cunningham Furniture in Lawrenceville, Georgia. Because of her passion for connecting women to knowledge and resources, the scholarship fund will specifically be used to fund the registration fee for the Professional Conference for a woman who needs financial assistance to be able to attend. Learn more about this scholarship here. Nominations for this scholarship will come from WithIt members and a nomination form is available online. All donations to this fund are 100% tax deductible. You can donate to the fund in Kathi's memory by giving online at withit.org and specifying the donation in honor of Kathi Cunningham or by mailing a check made out to the WithIt Scholarship Foundation to the office. Thank you! Your like has been counted.